Looks very professional, great job! My two were very disappointed that high school doesn’t “do” world book day, even if they couldn’t dress up. 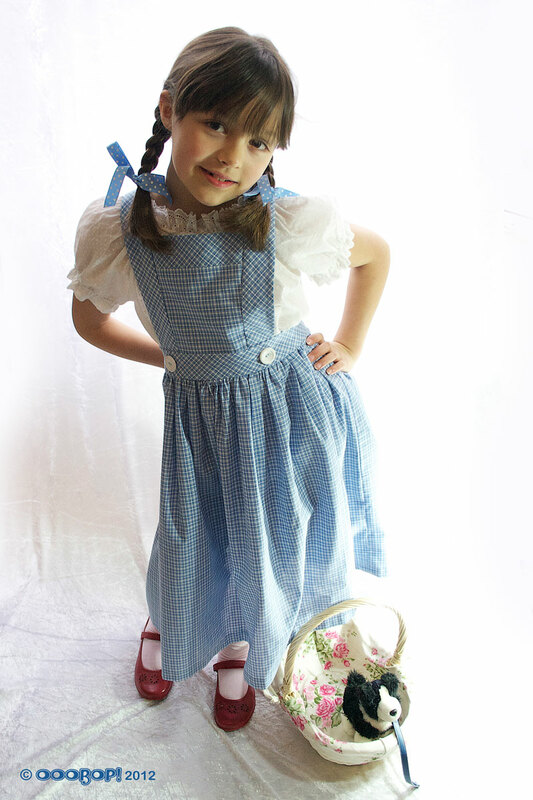 Hope your daughter has a great time as Dorothy. Thank you Anne. I’m surprised we don’t do it in the office, given that I work in children’s publishing! That is too cute. Mothers are wonderful! LOVE it! How lucky LMO is that her mum makes her thins like this. With your Dorothy and Jane’s TinTin I think you guys are doing the sew blogging community proud! Thank you MrsC. Indeed, doesn’t Jane’s son look fabulous. Its an each way bet if I can get LMO to pose. She is very contrary! But she really likes this outfit so we got lucky! Aw thanks for your lovely comment. 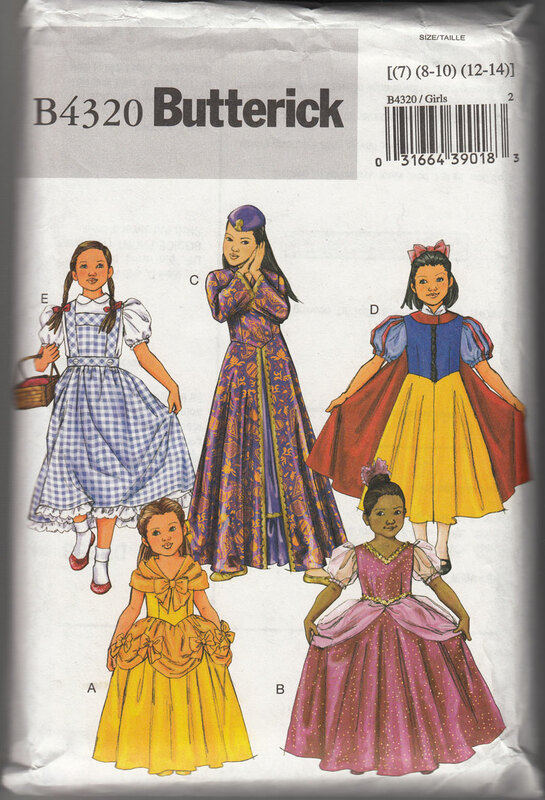 I’m not kidding… this was just an impossible sea of patterns all over the floor just to find the pieces I needed. There are hundreds! I’ve seen someone else post the same comment on Pattern Review! Pretty good value eh! hehehe. What I do is stick it in a bigger envelope, cut the original one into two and glue the front and back onto the new envelope. Or stick it in a ziplock bag with the envelope showing. It defies the laws of physics! I think ziplock bags are the way forward. I use big ones while they are in use, especially when I use vintage patterns. I don’t want to damage the envelope further by keep taking pieces out and putting them back in. I definitely think I should invest in some smaller ones for permanent housing. Thanks Jen. She was very up for posing so Dan had to react quick which is why the photo is a little bit fuzzy. No time to set up a tripod… she’d have changed her mind in a flash! Gah — you are so talented! This would take me a month to make and would turn out looking like a potato sack! Thanks Zo. I had cut the pieces in the afternoon but it took most of the evening to make it. Far more involved than I had anticipated but I have one very happy Dorothy so it makes it all worth it! I think you are right. Zip lock bags defo sound like the way forward! It’s a beautiful little costume, well done – and what a nice mum you are! Thanks Jane. Those buttons remind me of your lovely high waisted trousers! She looks so cute in that, it’s so nice for them to have a chance to get all dressed up in public like that! Dorothy never looked more charming! How fun! My mom was always really amazing like this. Halloween wasn’t the only time of year worthy of costumes. Pingback: ooobop! gypsy top #2 | ooobop!